I like to think I'm a pretty darn good bargain shopper, though. Charlie would agree, however he says it doesn't work in the end if I buy every single bargain I find! Haha! 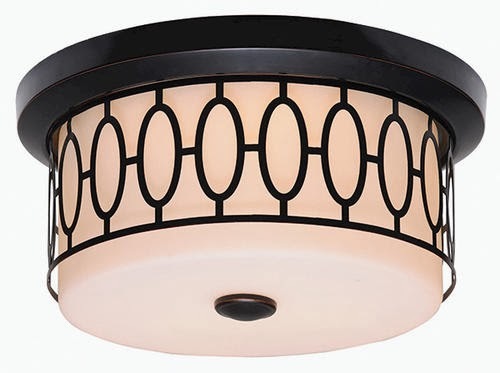 We found this flush mount light on clearance at Menards for $32! We plan to use it in the entryway hallway. These little beauties we picked up during our very first ever trip to IKEA!!!! We bought two. They'll hang over our vessel sinks in the the new master bathroom! And HELLO! 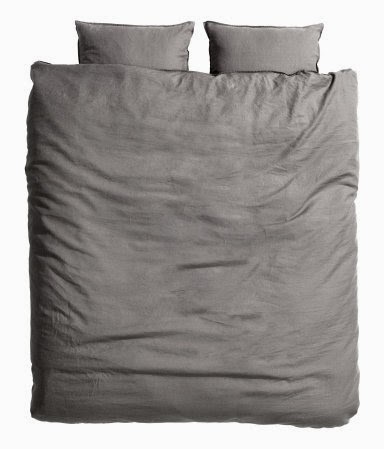 at $14.99…that's a steal y'all! This past weekend we ran into Lowe's to return some unused flooring and happened to spot these with a bright yellow tag. 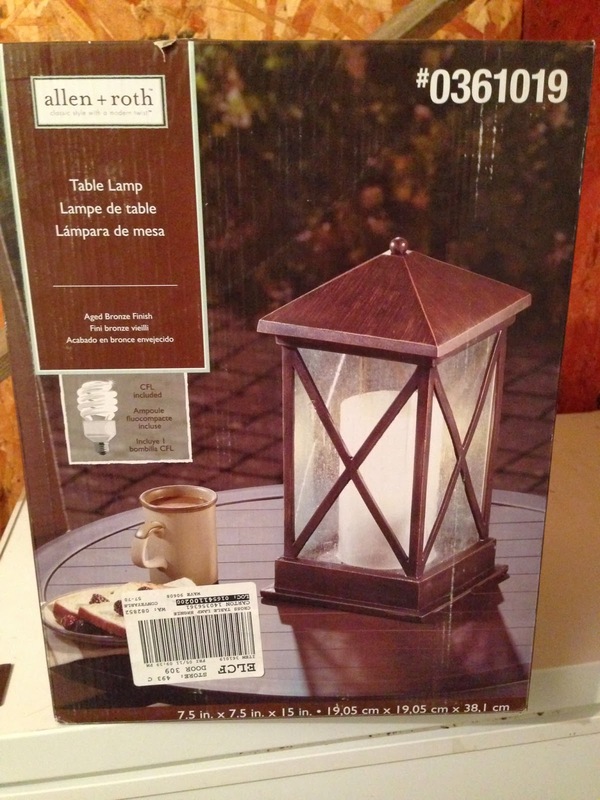 I loved the simple lantern, homey feel they had. 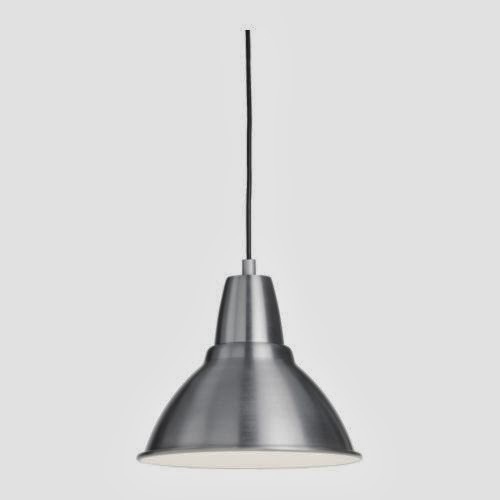 They were considered outdoor lighting, but they'll be finding their spot on our nightstands very soon! They were originally $49.99, marked down to $29.98. 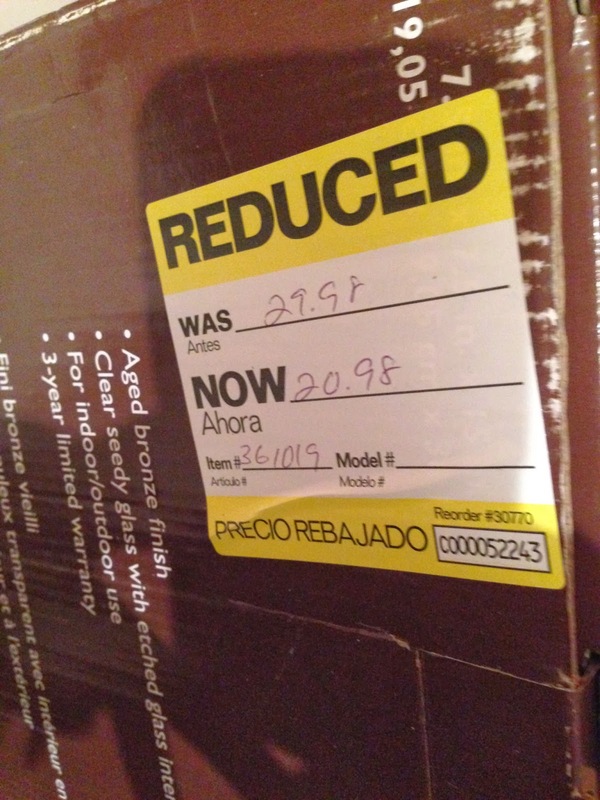 Did you know that a lot of times Lowe's will mark down their clearance items even more, just to move product? They totally will. $29.98 is a great price for a bedside lamp, but I figured it wouldn't hurt to ask for a little more of a discount. The employee working in the electrical department never even questioned me and pulled out these beautiful little yellow stickers! Woop Woop! 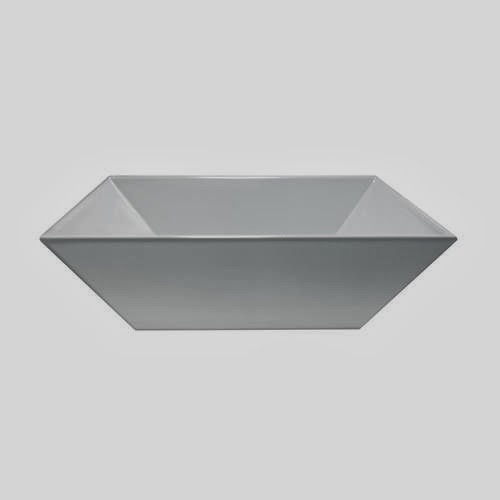 We bought these vessel sinks from Menards. Only $88 each! 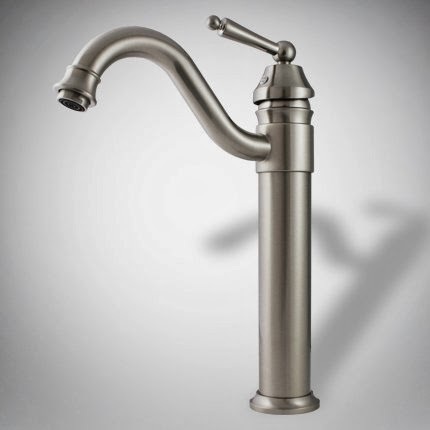 Of course that meant we needed those fancy expensive vessel sink faucets! I didn't realize how much those things could cost! We went to buy these at Menards. They weren't my favorite, but my favorites were not in the budget. They happened to be out of the brushed nickel finish so we came home empty handed. I decided to do a google search in the hopes of finding something I loved at a price my budget would love. Then, these appeared on the screen! Amazon.com to the rescue at half the price of the others! Only $59.90 each! That meant we got two for the price of one. literally! And, even better, I actually do LOVE this one! I cannot wait to see the finished bathroom project! If you're following along on Facebook, you may have already seen this sneak peak! Our flooring was installed this weekend and we could not be happier! I AM IN LOVE! I am also in love with best friends who just so happen to be awesome carpenters and pro tile installers! 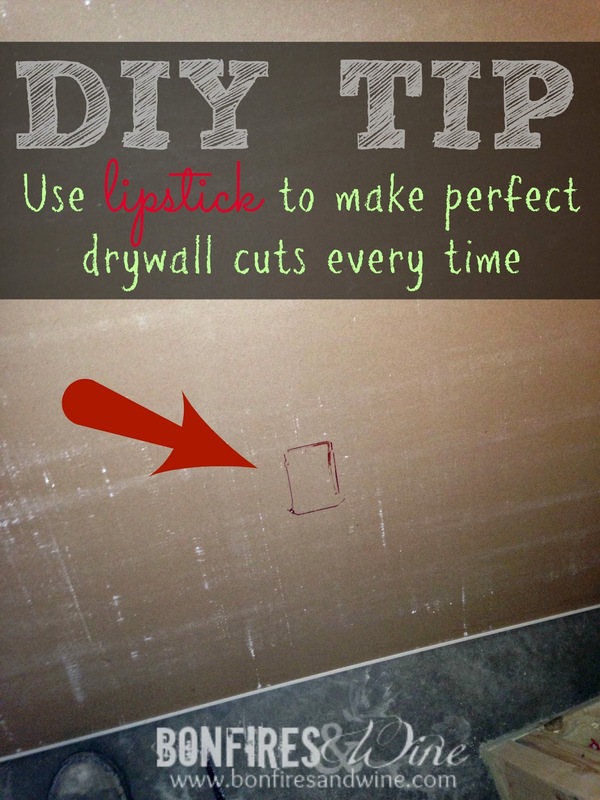 We may be DIY'ers, but that does not mean we should DIY our way through a tile install! This is something you want to make sure is done just right. 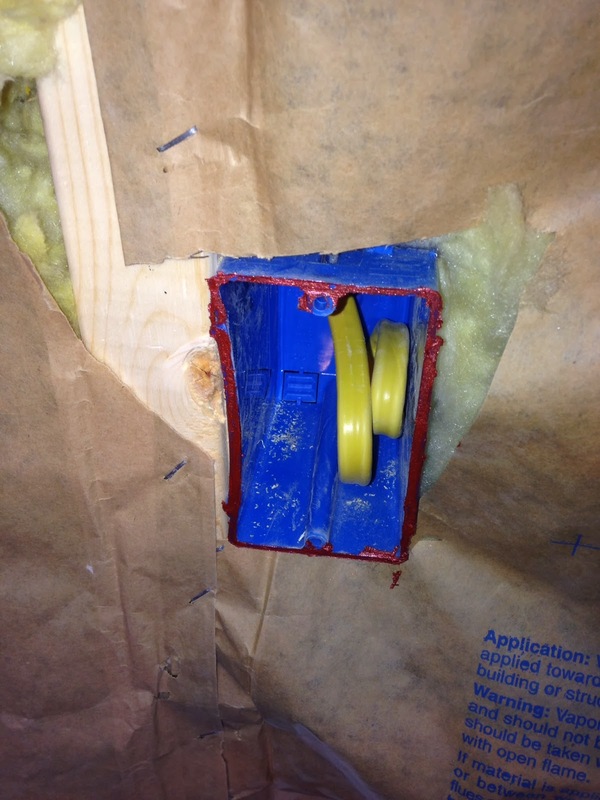 We were pleased to hand over this job to our pro friend. We're beyond grateful for them giving up their weekend to help with our project and make my dream flooring a reality! 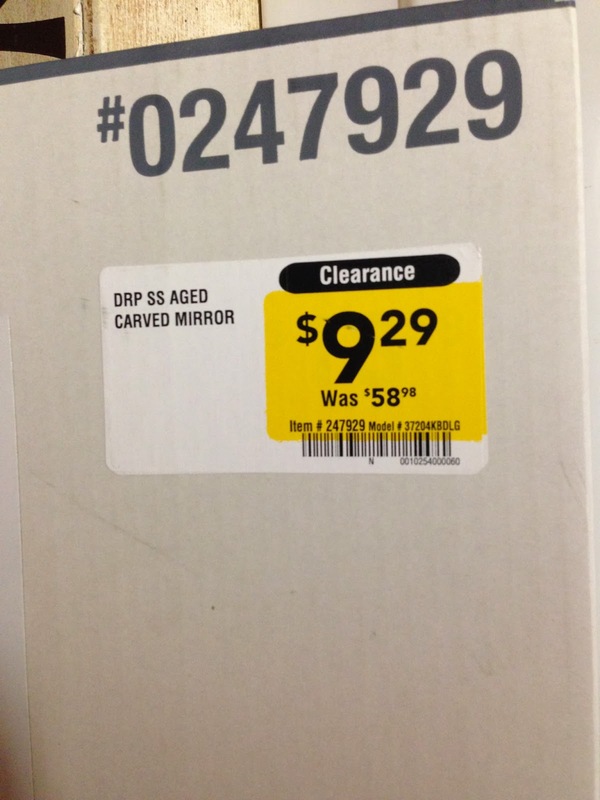 Make sure to check the in-store price on this tile because the online price is higher. We also noticed that they carried this same brand of flooring, only a different color and it was $1 cheaper per piece for some reason. We talked to the manager and he sold us our tile at the cheaper price! It ended up saving almost $500! 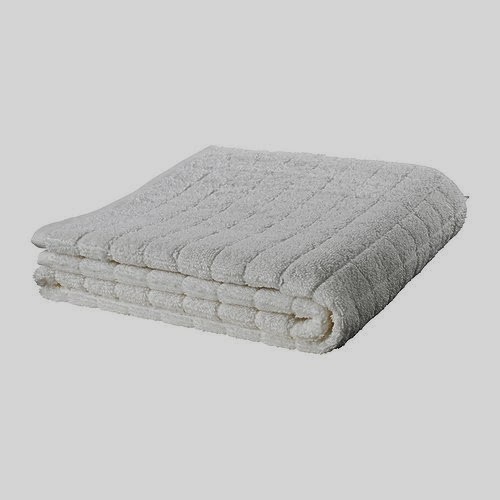 We bought this line of bath towels at IKEA, also. I may be totally out of the loop here, literally, but these towels all have a small loop on them so you can hang them up on hooks! So simple. Totally sold me on them. 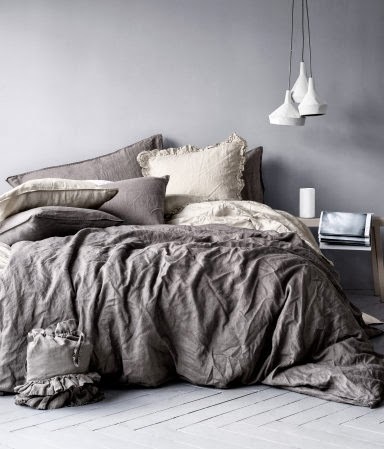 Did you know H&M online has a "home" line? I'm honestly not sure if these items are carried in-store or not. We purchased online on Cyber Monday and got everything 40% off! 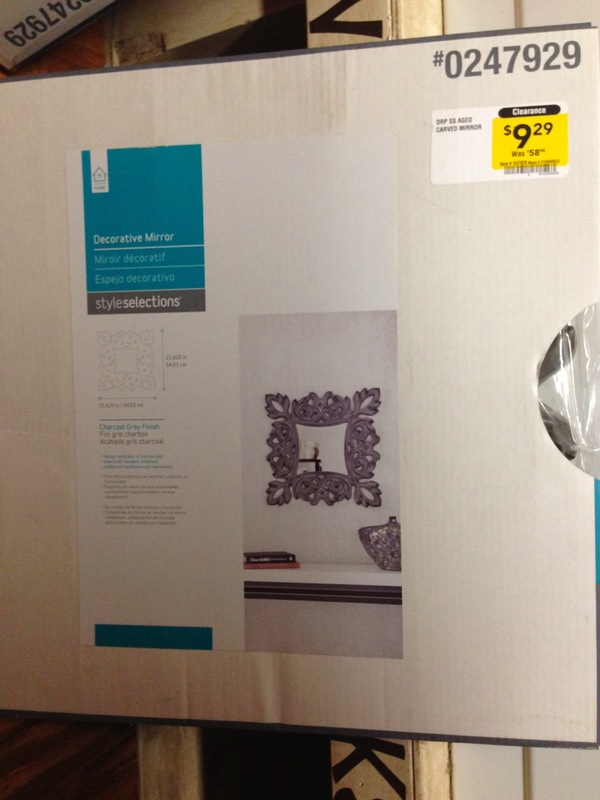 I can't wait to see how this looks in our finished room! I think we've done pretty good so far! We've worked really hard at sticking to that dreadful budget and these awesome deals really helped! What's your favorite!?!? 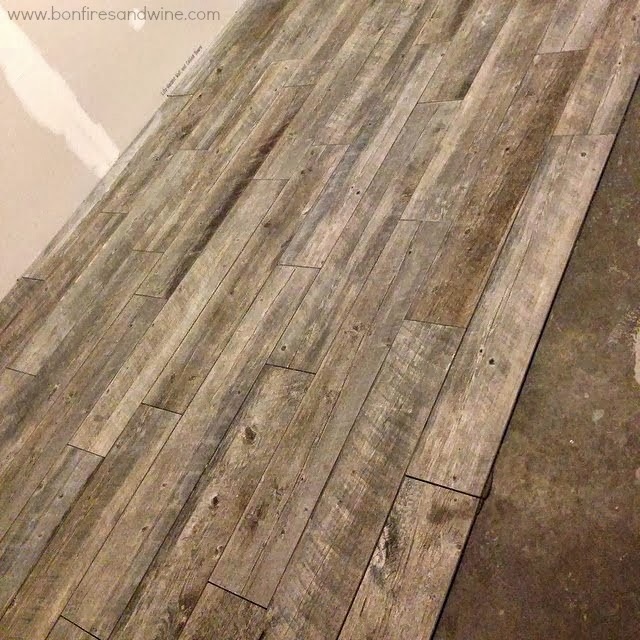 So far, the flooring has my heart….. :) I am so excited to see the finished project! Thanks for stopping by today y'all! Hope you can find some bargains of your own, soon! Ok, so the point of this post....the gender! We decided to have a 4D ultrasound at 17 weeks to find out the gender a little early. As in "we", I mean my Mom. We had a big gender reveal party when we found out what Paisley was and my Mom was excited to do the same for this one. However, the date my gender scan was scheduled with my doctor was the day before we were leaving town for our annual Thanksgiving trip to Nashville. 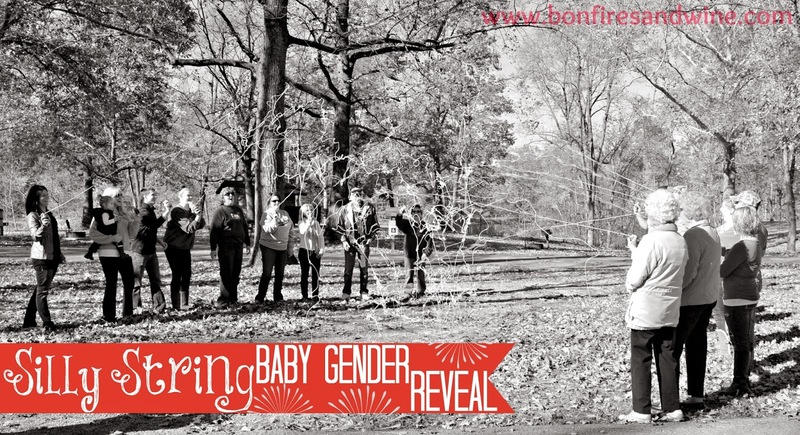 I couldn't move the appointment up and with everyone's demanding schedules right before the holiday and leaving town, we couldn't arrange a good time for a gender reveal party. My Mom recommended just going ahead and paying for the 4D ultrasound (at a different facility) to find out the gender early and having the big reveal party we wanted. So we took her up on the offer and made the appointment! Charlie was convinced it was a girl again. I really had no clue. We went in for the appointment and anxiously awaited our name to be called. They finally called our name, got us in a room, put me on the table, and started the ultrasound. We waited and watched as the ultrasound tech moved that little wand thing all over my belly. We could clearly see the baby. It was moving. It was fine. But, the tech continued moving that little wand over and over and over again. Baby #2 did not want to cooperate. The tech had me go pee and come back. No luck. She turned me on my left side. No luck. My right side. Nothin'. She tilted that bed so far back I was practically upside down. That kid was not opening it's legs. FINALLY, she said I think I see it, but I want to make sure. So she continued to move me around and press that wand firmly onto my stomach. Finally she touched her keyboard to capture the image and said "there it is....IT'S A….. GIRL!!!! 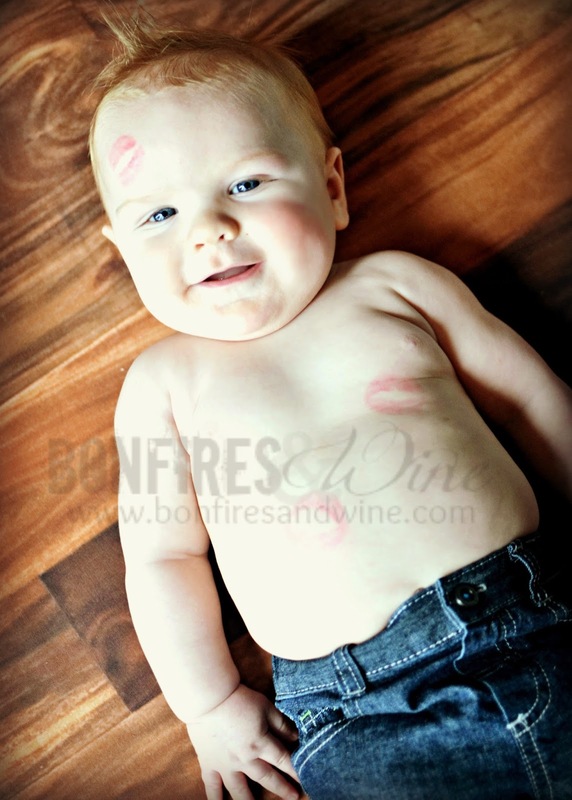 We had a lot of fun with our gender reveal party, as you can see! The pink silly string was so fun and everyone really loved being a part of it! We had everyone split up. If they thought it was a girl, they stood on the left. Boy, on the right. Then everyone got silly string to spray at one another, not knowing what color would come out! So, it's official. 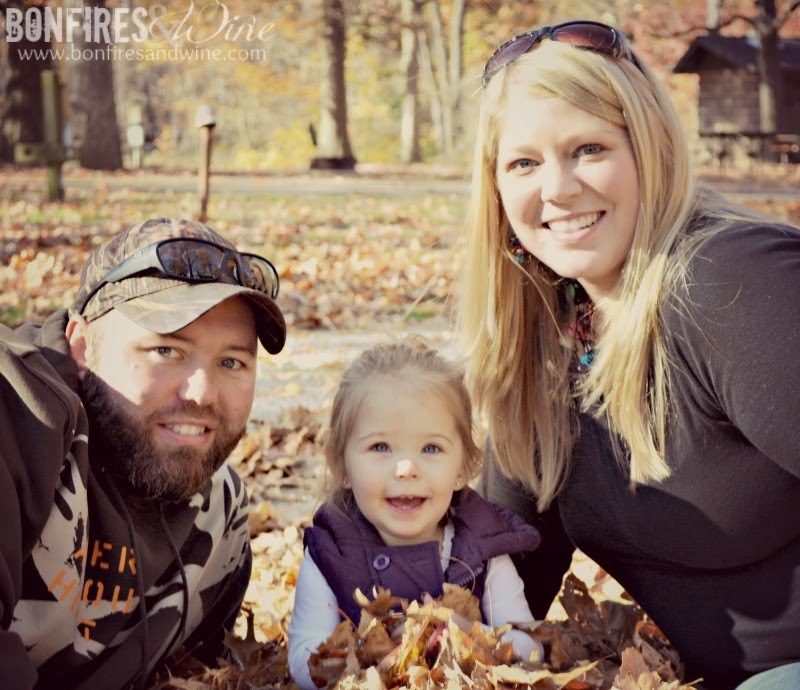 Our little family of three will soon be a family of four and Paisley will be a big sister to a sweet baby girl. We couldn't be more excited...and happy that we saved all of Paisley's clothes! The big due date is April 13th so we don't have too much longer! Let's just hope she comes out a lot less stubborn that she was during that ultrasound! Check back next week. We'll be talking about some of the cool things we've picked up for our remodel, some great product deals and decor plans, plus revealing the name we agreed on for Baby Girl #2! While the guys were busy working on the remodel this weekend, I got to spend some time with my favorite little guy! 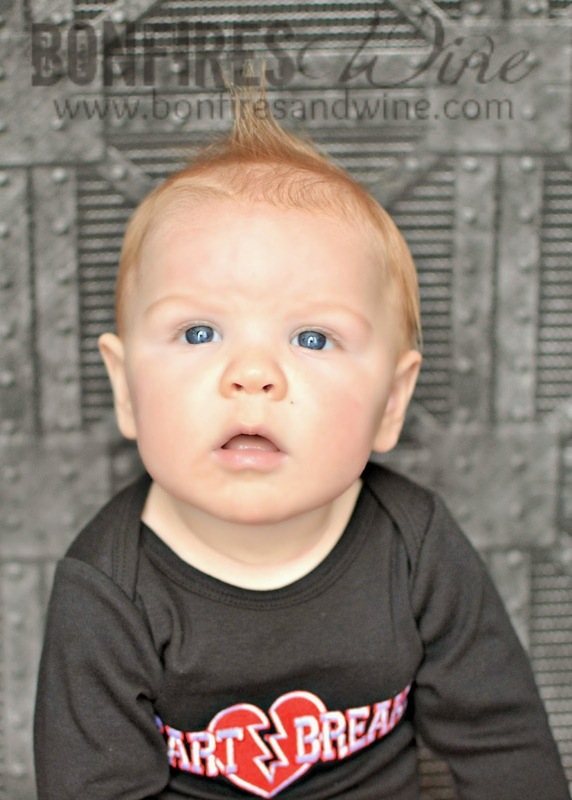 My best friend's little boy is seriously the cutest thing ever! 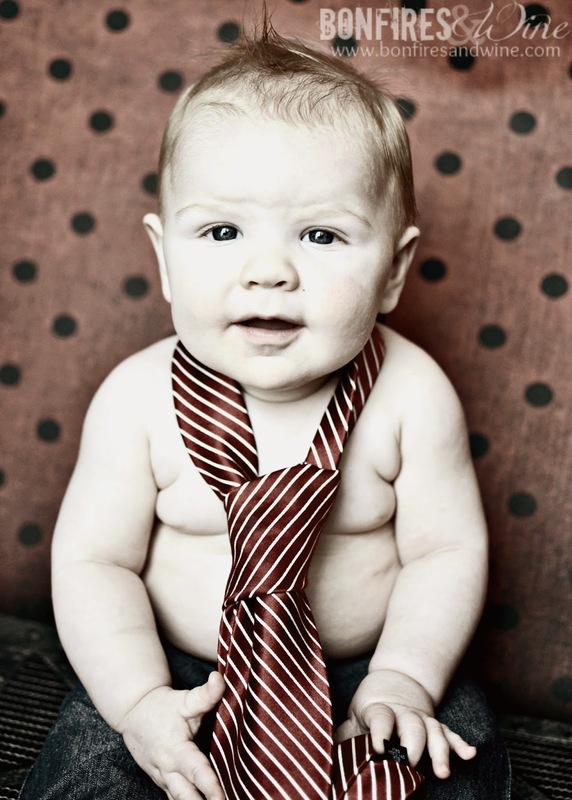 She wanted to take a few pictures for Valentine's Day so we gave him some lipstick kisses and dressed him in his best tie! I could look at those baby blues for days! This one's definitely gonna break some hearts… :) Good luck, Jen. Make sure you're following along for updates on our remodel, baby #2 gender reveal and baby name reveal!!! Operation garage to bedroom is in full swing! 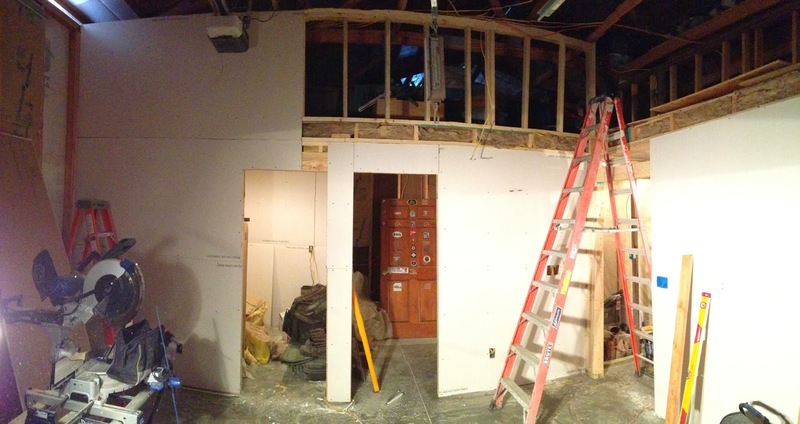 It seemed like it was taking forever to get going, but now progress is really taking place! We have had quite the Winter here in Southern Illinois. We've had more snow and ice this year than I care to even mention. And, we're supposed to be getting more this week. Awesome. Soooo, just to recap. 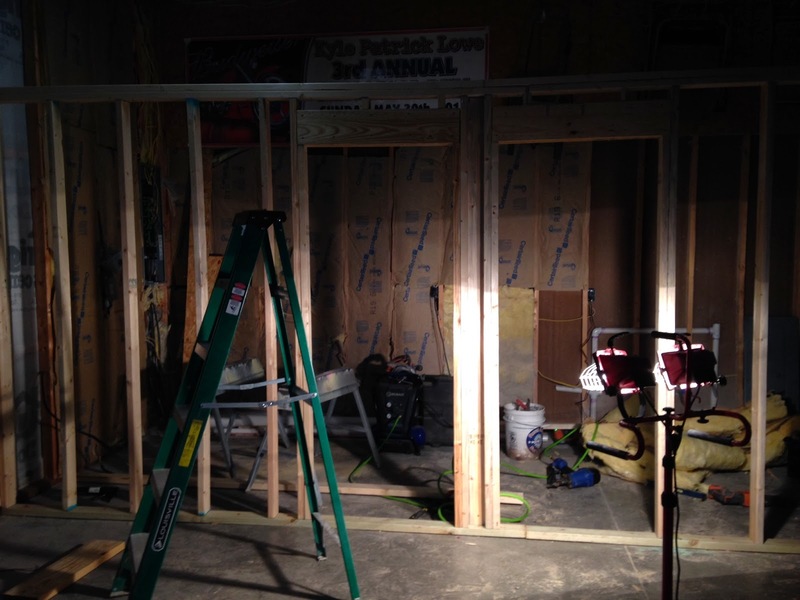 What was once a garage is becoming a master bedroom, walk-in-closet and en-suite bathroom. Charlie lost his garage. This meant we had to build a shed to hold all of our tools and garage things until (our money tree grows) we can build a separate garage. That took several weeks. 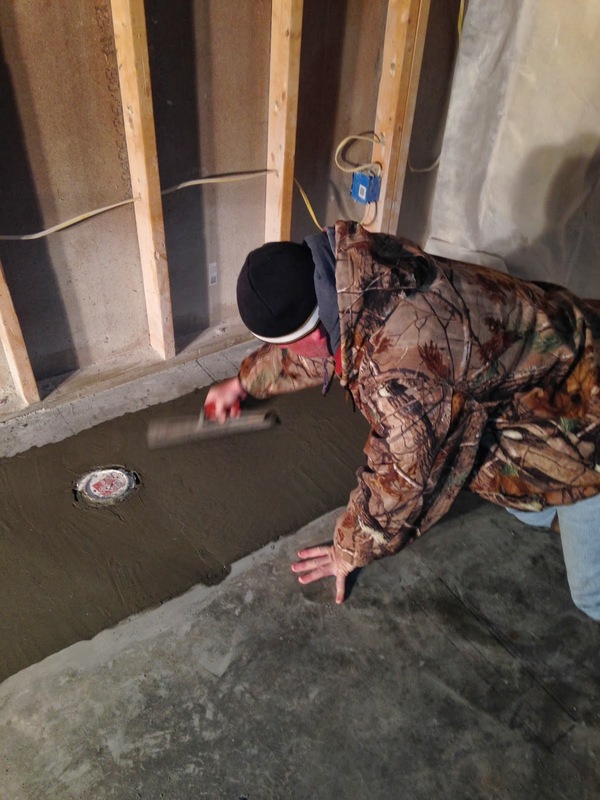 Then, we actually had to have our concrete jack-hammered up to make room for plumbing. Can I just take a moment to tell y'all how fortunate we are to have awesome friends that just so happen to own a concrete business!?!? 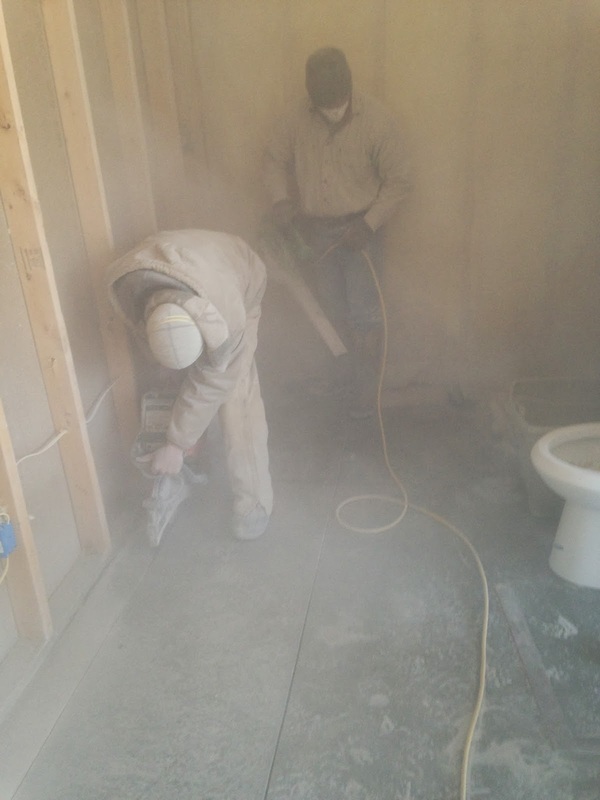 The concrete was dug out and pipes were ran for our shower, toilet and vanity. Then the guys came back and the concrete had to be re-poured. Then, it was time for walls! The closet is on the left and the bathroom is on the right. It was also my brilliant, time-consuming idea to vault the bedroom ceiling. Our pole barn home is 12 foot tall, with 8 foot drop ceilings. I decided it really didn't make sense to use ALL of that extra space for storage. Surely some of it could be used for design purposes don't y'all think!? Can you also imagine some really cool sliding barn doors on the bathroom and closet door openings???!!! That's pretty much where we are now. 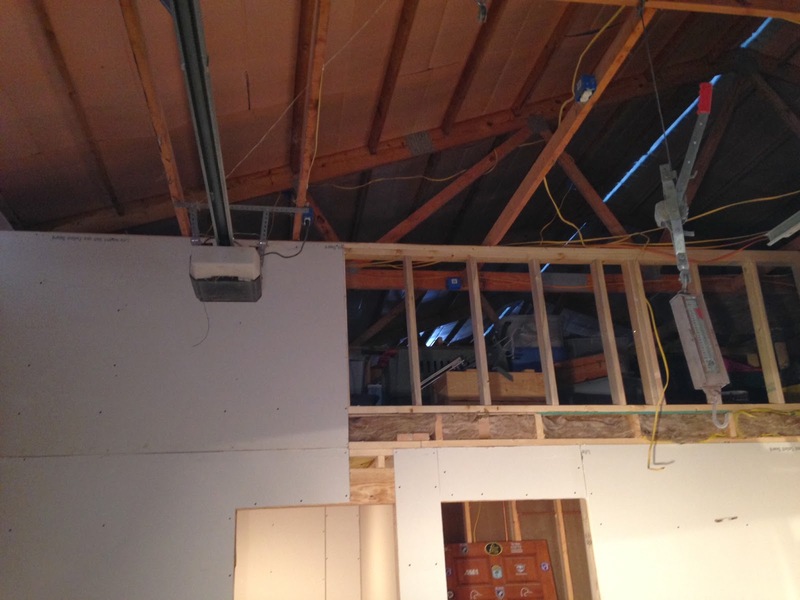 We're hanging drywall, getting ready to have the garage door and opener removed, then starting on that fancy vaulted ceiling. 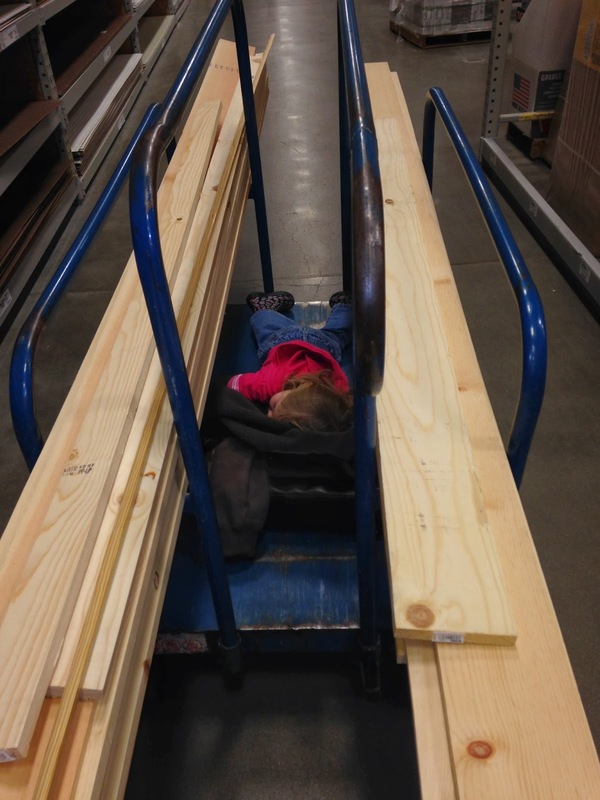 Our number one helper, Paisley, apparently finds shopping for lumber quite boring! A nap sounded like a much better idea…. We may or may not have a giveaway coming up tomorrow, so make sure you check back in!